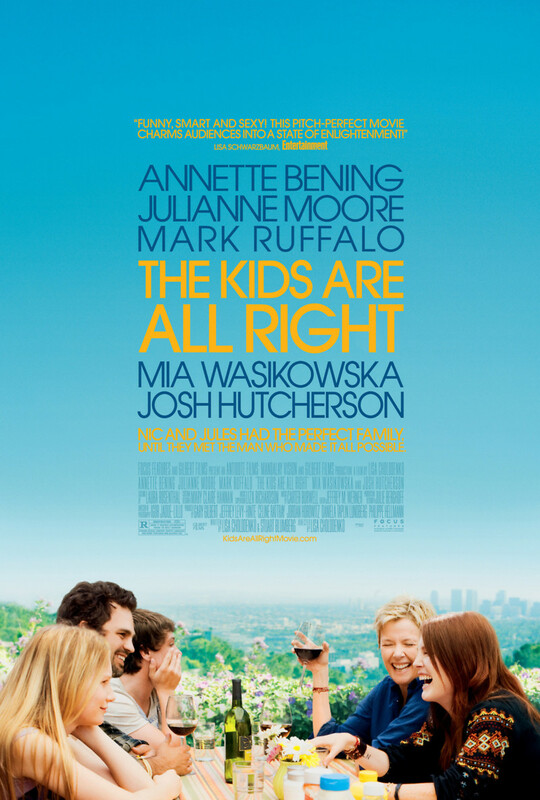 The Kids Are All Right DVD and Blu-ray release date was set for November 16, 2010. Much to two mothers' dismay, a lesbian couple's children reach out to their biological father. After the initial meeting, family members are at odds with one another as to whether or not the biological father should be included in future family affairs. Although some feel it is right to have the father included, others consider him merely a sperm donor who is infiltrating their home. In time, circumstances change, and the strife escalates. One mom questions her current commitment as she finds herself attracted to the latest member of this modern-day family. In the end, it is a story of serendipitous love and an expansion of their home life to include the father alongside his son, daughter, and their two moms in times to come.